Thing were changing in America in 1968. Rock music was getting wilder and trippier. Vietnam had escalated. Man was getting closer to landing on the moon. RFK and MLK had been killed. Charles Manson family were creeping around Los Angeles. The culture was changing quickly. And yet, Gunsmoke was still on the dial. A world in massive change and yet you could click onto CBS for an hour and experience life in Dodge City. The favorites were still on the tiny screen with Marshal Matt Dillon (James Arness), Miss Kitty (Amanda Blake) and Doc (Milburn Stone). Not to mention Festus (Ken Curtis) still tagging along with Matt. Plus new guy Newly O’Brian (Buck Taylor) was moving up from gunsmith to a deputy. But there was change coming and Gunsmoke: The Fourteenth Season – Volume 1 & 2 contains a glimpse of the future of TV before their parents married. While The Brady Bunch was a season away, people got a look at half the upcoming Brady kids when they popped up on the Kansas prairie far from their split level home. While Susan Olsen played the youngest daughter as Cindy Brady, she was the first to appear on Gunsmoke. “Abelia” has outlaws hiding out at widow’s house. She’s nervous about her kids (which included Olsen). Her only hope is Festus impersonating her husband. “The Miracle Man” is another tale of a widow. This time she’s being wooed by a man with a shady past who works as her hired hand. Christopher Knight (Peter Brady) gets to be part of the siblings nervous about the wannabe stepdad. Festus once more has to be the guy to make sure the widow is protected. At this point Festus could have been Mr. Brady if only he got a dad perm. Finally there’s “Goldtown” where Eve Plumb (Jan Brady) is not the daughter of a widow in jeopardy. This is about hillbillies that create a scam that there’s gold near Dodge City. The town goes wild with gold fever. At least Jan didn’t have to hear anyone going on about Marcia. By the next Fall, all three kids would be united as The Brady Bunch arrived and become iconic. There are other great guest stars during the 14th season. “Lyle’s Son” is a classic revenge tale. A lawman who was injured on the job arrives in town with his son. Turns out the kid has been trained to kill the man who destroyed his father. Robert Pine shows up a few years before he’s become a star on CHiPs and his son would turn into Captain Kirk. Harry Dean Stanton (Twin Peaks) must clear his name as a stagecoach robber before he gets tracked down by bounty hunters in “Johnny Cross.” “Mannon” has Steve Forrest show up looking to gun down Matt Dillon before he’d be a sharpshooter on S.W.A.T. “Time of the Jackals” takes us back to the time when Leslie Nielsen (Police Squad) was a scary guy on screen. It wouldn’t be a season of Gunsmoke without Bruce Dern (Big Love) showing up. This time it’s bounty hunters terrorizing everyone to get their hands on a prisoner. Gunsmoke: The Fourteenth Season – Volume 1 & 2 keeps up the tales of the wild west town and Matt Dillon doing his best to keep a sense of law and order. There’s plenty of con men, gunmen, bounty hunters and dreamers to keep the stories going over the course of 26 episodes. While this season featured the new faces of TV in those upcoming Brady kids, Gunsmoke wasn’t going anywhere since it still had six more seasons to go. It ran a season after The Brady Bunch was cancelled. The wild west wasn’t getting tamed by a bunch of children. The video is 1.33:1 full frame. The transfers look so much better and richer than the color episodes that have been airing on TV for the last few decades. This visual upgrade will make you feel like you’re watching the episodes for the first time. The audio is Dolby Digital mono. The levels are fine when the showdown takes place on the dirt street of Dodge City. The episodes are subtitled. Episodic Previews are on each episode. These will show you the washed out color that your father is used to when he’s on the sofa watching Gunsmoke on cable. CBS DVD present Gunsmoke: The Fourteenth Season – Volume 1. 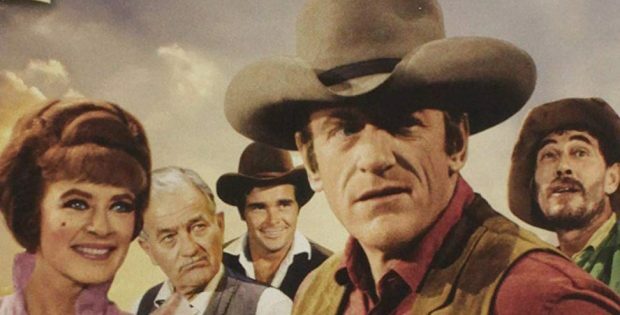 Starring: James Arness, Amanda Blake, Milburn Stone and Ken Curtis. Rated: Unrated. Boxset Contents: 15 episodes on 4 DVDs. Released: February 5, 2019. CBS DVD present Gunsmoke: The Fourteenth Season – Volume 2. Starring: James Arness, Amanda Blake, Milburn Stone and Ken Curtis. Rated: Unrated. Boxset Contents: 11 episodes on 3 DVDs. Released: February 5, 2019.